Today is apparently Blue Monday - the most depressing day of the year - when a combination of everything from the weather to our Christmas debts makes us feel particularly glum. Firms are filling our inboxes and Twitter feeds with details of 'great deals to beat the blues' offering savings on everything from blusher to self-help books. It's hardly surprising. The day was, in fact, invented by a travel company in 2005, in order to try to get more people to think of a holiday as the solution to their problems. But the idea in the first place, and the companies piggybacking on it in order to flog their own products, are both horribly inappropriate. The marketing is less frenzied than the craziness we saw on Black Friday, but there are companies using the excuse to sell everything from furniture to books and makeup to gym memberships. Tweets, emails and newsletters demand 'cheer yourself up: buy our products'. And there are three major problems with this. The first is simply the fact that Blue Monday is an invention. Sky Travel asked a psychologist to come up with the best day of the year to book a holiday in 2005, and he plumped for today. The press release included some statistics about levels of debt and the weather, and a strange equation that purported to show that the third Monday in January was the most depressing of the year. Since then, there have been no end of scientific articles proving that rather than robust science, this is marketing bumf. Then there's the suggestion that 'depression' is something you feel one day a year and which can be eased by buying something. The mental health charity, Mind, has said the idea of Blue Monday is "dangerously misleading". It added that implying that depression is dictated by the date "perpetuates the myth that depression is just 'feeling a bit down', something that doesn't need to be taken seriously." It is hoping to get #BlueAnyDay trending instead of #BlueMonday to highlight the fact that the date is based on bad science, and a misrepresentation of mental illness. The third fundamental flaw with Blue Monday as a marketing device, is that it's the worst possible financial approach. It implies that there's something acceptable about feeling down about debt, and cheering yourself up by spending even more money. Of course, plenty of people do this. It's scientifically proven that buying something we want gives us a rush of endorphins, which fundamentally make us feel better, so the urge to stick your head in the sand and go for the endorphins is completely understandable. The problem with this approach, however, is that this artificial high will eventually be followed by the crashing realisation that you've just made your debt problems even worse. This might not come until you see your next credit card bill, but in some cases it can kick in even before you leave the shop. You're left with more worries and a lower mood, and if you choose to defeat this with another shopping spree, you have set yourself on the path to serious problem debts. If you have opened a credit card bill from Christmas, or seen your overdraft, and are feeling awful about how much money you have spent, the only way to make yourself feel better about it for the long-term, is to do something about it. In many cases, people can revisit what they are spending each month, take sensible steps to cut their costs (through things like shopping around for utilities, moving onto a form of debt with lower charges, and trying a budget supermarket), and start to pay the money back. If the problem has got more serious, they can contact a debt charity like Stepchange, where an expert will talk them through all their options and help them find a sensible way to deal with their debt nightmare for good. It's not as easy or as fun as trying to shop yourself out of a debt nightmare, but it's the only real solution. There are some very common reasons for building up problem debts. Here we reveal seven of the most common, and what you can do if you face them. Unemployment or illness that means one or more of the household’s earners are unable to work will bring a profound change in family finances, and according to the Money Advice Service is the most common reason for getting into problem debt. If your circumstances change, therefore, you need to immediately address your family finances, and put everything on a minimum spend lockdown. You should also look into the benefits and tax credits that are available sooner rather than later, to try to close the gap. 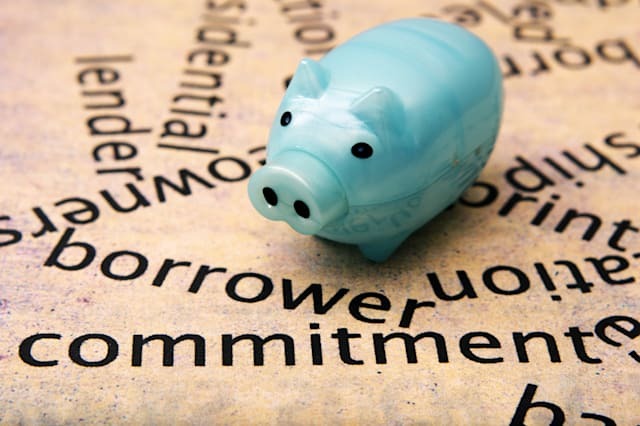 If you are on the kind of contract that means varying hours, it can be incredibly difficult to work out what you can afford to spend - making it the second most common reason for getting into debt - according to the Debt Support Trust. Rather than swinging through the extremes from week to week, the best approach is to establish a budget that will work in the leanest of months, so you don't find yourself getting used to the months when you work more hours. According to Citizens Advice, trying to service too much debt is the third most common reason for getting into difficulties. The TUC found that those with problem debts spend 40% of their income on debt repayments. If you are in this position, you officially need some help with your debt problems. If you continue to rob Peter to pay Paul, you will end up owing more and more, so you need to take stock and talk to a debt charity about all your options. The double-whammy of the legal bills combined with the incredible cost of establishing two separate households is enough to make divorce or separation the fourth most common reason for going into debt - according to the Debt Support Trust. There's no easy solution, but if you are going through this, it can be helpful to talk through your financial situation with someone you trust or a debt charity, who can help you balance a stretched budget. Problem debts aren’t necessarily caused by a sudden shock to the system. According to the Money Advice Service, 20% of their clients are simply trying to live on an unsustainably low income. If you are in this category, it’s important to seek help on the benefits and tax credits you may be able to receive. It’s not always easy to navigate the system, but charities like StepChange have experts on the benefits system who can talk you through what’s available. The combination of rising costs and stagnating wages over the last few years has meant increasingly people saw their monthly wage cover less and less of their monthly outgoings. This position has started to ease more recently, but has left many people far worse off than before the financial crisis. The Money Advice Trust said a combination of this and unexpected costs was responsible for almost one in ten problem debts. If you consistently spend more than you are expecting, it's well worth keeping a spending diary. That way you can establish the real cost of living, and start to identify where you can cut costs. The Money Advice Service says it commonly deals with individuals who have struggled to get to grips with budgeting and debts, and have got into debt because they don’t have the skills and knowledge to manage their money effectively.